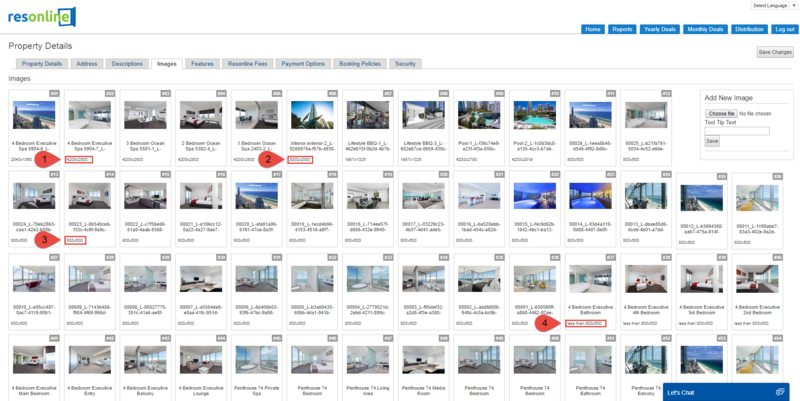 When creating a listing for Airbnb you will need to have images ready that are set to a specific rate plan for that type. You will need at least 7 images in JPEG format. These images need to meet the minimum compliance standard of 800x500 px, though it is recommended that the images sizes be around 4200 x 2700 px. 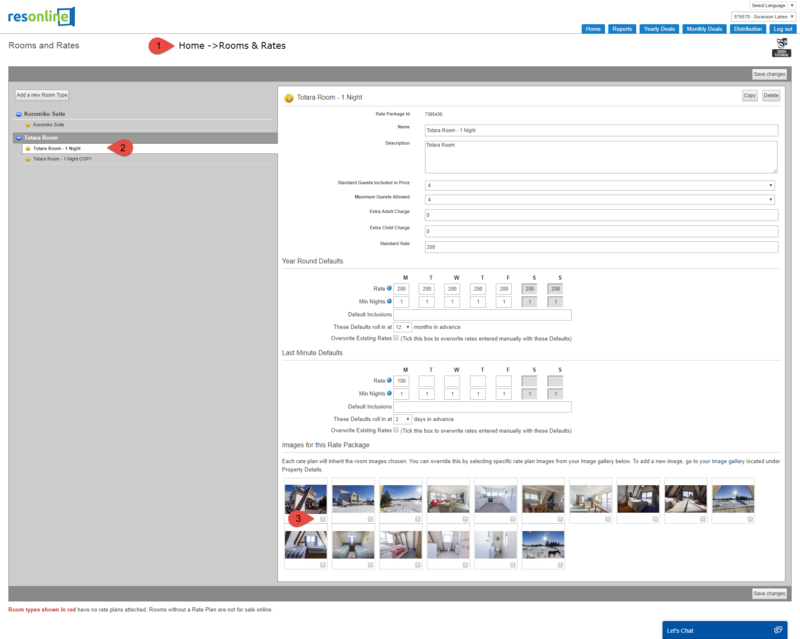 This can be done in Home -> Property Details -> Images. 1. This image is at the size recommended by Airbnb. 2. This image is definitely larger than 800x500 and is more than acceptable. 3. This image only meets the minimum standard, this will pass the compliance test but may not look as nice as the others. 4. This image does not meet the standard and will therefore fail the compliance test. Anything that will fail the compliance test will state "less than 800x500". If you have had a professional photographer take them you should not need to worry about the image size. 1. Go to Home -> Rooms & Rates. 2. Select the rate plan that will be merged to Airbnb (if you have more than listing then you will need to follow the subsequent steps for each listing). 1. Please ensure the number of images are at least 7 if not this may be one of the reasons that you are receiving this error.